Multi-level marketing (MLM) also called Pyramid Selling, Network Marketing ,and Referral Marketing is a marketing strategy for the sale of products or services. It is a form of direct sales in which independent representatives sell goods and services from a company to an end consumer. The multi-level aspect refers to each representatives’ ability to recruit and train other representatives, and earn a commission on their respective sales. The MLM Binary plan is most popular MLM plan among the MLM companies, MLM business individuals, part-timers, network marketers and all other members who want to start their MLM business. The concept of Binary MLM plan is based on two legs network growth whereas one on left side and another on right side, it is called tree structure. One leg is called power leg and the other one is called Profit leg. Power leg in MLM Binary Plan grows even when the member previously enrolled in the tree recruits the new members and added into the tree on the leaf position in the tree where the profit leg increased when a member introduce for self benefit. Some other criteria also matched for binary compensation distribution like 1:1 and 1:2 or 2:1 concept. The binary capping concept also integrated into the MLM software so that the access payments for the members can be stopped. Upline members get benefitted every time a new member joins the tree. A member's upline recruits new members under the downline, the process is called spillover and the new member placed into the leaf position into the binary tree through which downlines power leg increases. A member just needs to pay attentionto the profit leg to get benefits in the binary plan. The Binary MLM Plan is a team efforts business where up-line sales give the benefits to their down-line. This MLM Uni-Level Plan is one of the simplest concepts in MLM industry. In this plan each member can recruits new comers in the front line. Each member can introduce new comers in any width and the commission distributed up to a fixed limited depth as per MLM compensation plan. MLM Uni-Level Plan is very simple to explain to new comers. A MLM company can customize the Compensation level as it wants. Reward and bonuses integration easy at any level or frontline. The one of most popular International MLM Plan in MLM industry is MLM Board Plan which is also known as Revolving Matrix Plan. 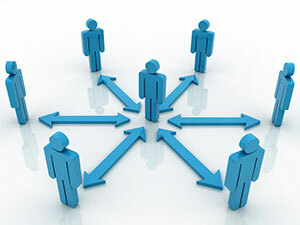 In MLM Board Plan a group of affiliates work in a team called Board. Fixed number of affiliates joined a particular board, the specific board splits into two sub-boards (sub-trees) and the top affiliate get some incentive and promoted into next higher board. The MLM Company can set how many numbers of members/ affiliates contained into a board as well as Company can become number of boards to be promoted as per their compensation plan. Matrix Plan which is also known as Forced Matrix MLM Plan or Ladder Plan. The MLM tree organized in a pyramid pattern in fixed width and depth. The member who joins into the matrix plan gets compensated when they recruits new members according to the level set by the MLM plan. 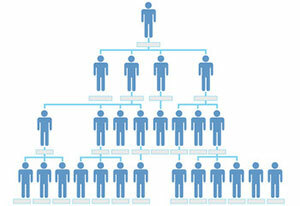 The MLM Company can set the tree structure that may be 3 in width and 5 in depth i.e. each member can recruits 3 new members in their width front line and get benefited up to the 5 levels. In matrix MLM plan the width is limited so the upline need to motivate their downline to get benefited and the network grows drastically. The MLM Company can set their level bonus structure according to their MLM business compensation plan to motivate or attract customers for sale of products and increase network structure. MLM companies can integrate their compensation plan in customized Matrix Plan. When downline members work, uplinemembers gets benefited according to their levels, so the upline members always motivate their downline members to grow their network. MLM Matrix plan is easy to understand and explain the concept of MLM Plans. Therefore, MLM company representatives and networkers easily motivate their downline. 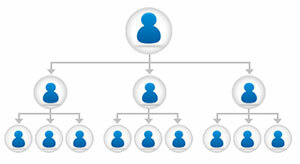 It is a flexible plan through which MLM Company can extend their Matrix tree width according to their compensation plan. In MLM Industry, One of the simplest concepts or simplest MLM Plan is Sunflower MLM Plan. Every individual member or MLM companies can easily convey and explain this Sunflower Plan to new member and MLM Business affiliates. 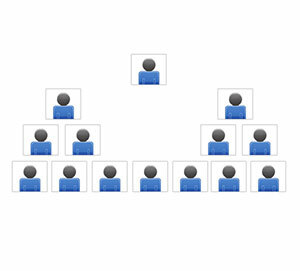 In Sunflower MLM Plan each affiliate can recruits new member in their level structure or front line. Each affiliate can introduce new member in any width and the commission distributed up to a fixed limited depth or fixed levels as per MLM compensation plan. The MLM Organization can make the Sunflower MLM Plan more attractive by introducing some rewards or bonuses or incentives for registered members when they achieve the company fixed or declared level targets. Simplicity of MLM Plan is Sunflower Plan which is easy to explain for new comers or new members. Compensation level is declared or customized as per company business requirements. Rewards and bonuses can be integrated easy at any level structure or frontline in Sunflower MLM Plan. Also named as Gap Commission Plan or Repurchase Plan Generation Plan is seen as Compensation Plan. It is based on selling products hence it is beneficial for manufacturing companies. Bonuses and incentive plans are there in this plan and it is based on motivational product selling. MLM agents prefer this plan because it can go through unlimited depth, thus producing more money than any other plan. Generation Plan as said earlier is very beneficial for product selling companies, it saves them the capital they would be spending otherwise on media and marketing. Direct Marketing uses its agents as advertisers which is more convincing to people than TV commercials. Repurchase Plan means Generation Plan. This plan is meant for manufacturing or product selling companies, who are not much into commercial advertising and media marketing and prefer direct marketing. We provide e-commerce for your products integrated with MLM software for your convenience. This software will make it easier to keep all records at on place and generate reports and receipts. This integrated software will make it easy for company owners to keep a tab on depleting stocks and sold products, on the other hand there is MLM software to increase marketing. We are providing MLM software for Land Developers. Land Developers who believe in direct marketing, use this software for sale of their lands. Money for land is not paid at one time, it is done in installments, so that common people can purchase land. To convince common people and tell them about the advantages of this system of land purchasing, direct marketing is the best mode of marketing. Through direct marketing people can follow examples of other people and they trust the system. Also to reach common people direct marketing is most influential as compared to commercial marketing which reaches only cream of society and looked upon with mistrust.